On a snowy night in Moscow in February 1939, three men wearing badges that identified them as members of Josef Stalin's secret police walked through the double doors of the Moskva Hotel, overlooking Red Square, took an elevator to the top floor, and knocked on a door. They knew that the man they had come for carried a Czech passport - fabricated for him by someone in their organization - and that he spoke fluent French and German, though little Russian. They also knew the name on his passport was an alias. The man's real name was Isaiah Oggins, and he was one of the first Americans to spy for the Soviet Union. Born in 1898 to a family of Russian Jews who had immigrated to New York from Lithuania, Cy Oggins, as he called himself, spent more than a decade gathering intelligence for the Soviets across three continents, North America, Europe, and Asia. He was arrested as part of Stalin's paranoid purge of suspected anti-Stalinists and sentenced to eight years in a labor camp in Siberia. 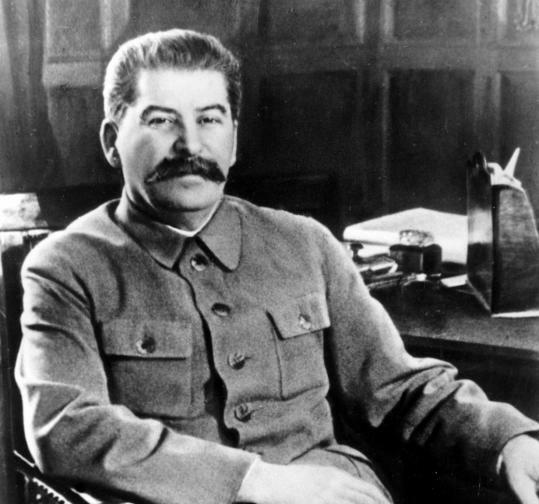 In 1947, when his sentence was up and the United States was seeking his return, Stalin ordered Oggins put to death. In a new book, "The Lost Spy: An American in Stalin's Secret Service," journalist Andrew Meier tells the tragic tale of this brilliant and idealistic Columbia University graduate, a Jewish intellectual who felt ostracized by the Ivy League's WASP world and sought solace with young Communists in New York City. With them, he dreamed of a "world revolution" that would spread from the Soviet Union through Europe to the United States. Oggins and his wife, a radical Soviet emigrée named Nerma Berman, ran a safe house in Berlin for Soviet agents and spied on the Romanovs in Paris and the Japanese in Manchuria. "He envisioned a utopia on earth," Meier writes, "a realm of harmony and justice, not a world ruled, as he and his comrades saw it, by the lust for profit and violence. He imagined himself an American Robin Hood among the Bolsheviks, and he risked all for the good fight." Oggins's story was barely a footnote in the history of the Cold War until Boris Yeltsin handed his censored dossier to US diplomats in September 1992. Yeltsin explained that although Oggins had been found innocent of charges trumped up against him, he had been "liquidated" because Stalin feared that if the spy were repatriated to the United States, as the US government had requested, he would spill Soviet secrets about the gulag and perhaps name other spies. "The Kremlin had spy networks - in America, Europe and Asia - to protect," Meier writes. Yeltsin, then the first president of a democratic Russia, wanted a case he could show his new friends in America to demonstrate he was determined to air past sins of the Communist Party. Meier, a former Time correspondent in Moscow, spent six years digging through FBI and KGB archives to piece together the puzzle of Oggins's life. He describes a bright young man growing up in the early 1900s in Willimantic, Conn., a New England mill town rocked by labor strife. After enrolling in Columbia University just before the United States entered World War I, Oggins got caught up in the world of New York's radical left and joined the American Communist movement about seven years after the Russian Revolution, which brought the Communists to power in 1917. Living in Greenwich Village, the heart of Bohemia, he became friendly with other young intellectuals who believed that workers around the world would unite and overthrow capitalism. He broke all ties with his increasingly bourgeois family in Connecticut. Unlike FBI agent Robert P. Hanssen, who many years later fed US secrets to the Soviets for a quarter-century, Oggins turned out to be a rather insignificant agent with no access to any government's secrets and little training in the art of spycraft. As a result, this exhaustive biography is more a curiosity than exposé of a long-hidden scandal. Meier is a diligent researcher, but instead of letting Oggins's tale spin out in a straightforward manner, the author has a maddening way of jumping back and forth in time, sometimes describing the spy's travels or his life in the gulag, then skipping ahead to insert the reactions and observations of Oggins's only child, Robin, now a retired professor in his 70s. The son had known little about his father's life until Meier approached him a few years ago with his findings. As a result, the book is an interesting but disjointed narrative. Ironically, Cy Oggins, who sacrificed everything, including his family, for "the cause," died a lonely man in the country his parents had fled in order to provide a better life for their children. Ann Blackman, a former Time correspondent in Moscow, is the author of biographies of former Secretary of State Madeleine K. Albright and Confederate spy Rose Greenhow. She is co-author of "The Spy Next Door," a biography of turncoat FBI agent Robert P. Hanssen.